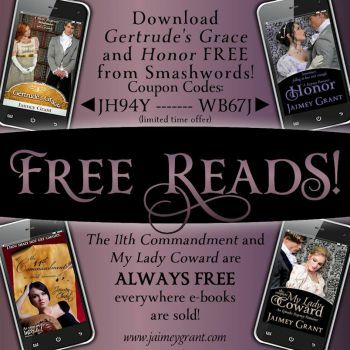 If you like clean historical Regency romances, get these four sweet tales from author Jaimey Grant. The 11th Commandment is free on Smashwords (no code needed) and on Amazon. My Lady Coward is free on Smashwords (no code needed) and on Amazon. Jaime Grant is a prolific writer and she creates book cover art on the side. Check out her site.